Halloween party season is here, but going out with friends can be a tough task from those with allergies. Some party-goers have skip out on treats that they cannot indulge in without a severe reaction, but they should not be alone. Hosts can help by also staying aware of ingredients. Being conscious of allergens is a year-round task for those who have them. With Halloween around the corner, here are some ways you can take the task off your guests’ shoulders. Yes, water counts as a treat. Who isn’t thirsty at a party? You can take a mini-water bottle, tear off the label, and make your own fun Halloween-themed label with personalized messages. The best part is that almost no one is allergic to water! Low sodium popcorn can be a great treat to put in a baggy and hand out. You can even decorate your own baggy to make it more fun. Fruits such as apples and pears are reported to have a low chance of allergens. While some people are allergic to fruits, such as bananas, the chances are usually low. You can make non-dairy popsicles from water and fruit in the comfort of your home. You can also substitute in plant milk, but be mindful that nut and soy allergies are common allergens. Alternatives include pea milk, flax milk, coconut milk, hemp milk, rice milk and more. Don’t forget a cooler! Filled predominantly with sugar, lollipops are among the few candies that have low allergenicity. However, be mindful that they may contain traces of soy oil depending on where they have been processed. Jelly beans are mostly sugar, tapioca or corn syrup and pectin or starch. They, too, are among candies that have low allergenicity. They can be put in handmade baggies to up the creativity. Corn is a pretty uncommon allergen. 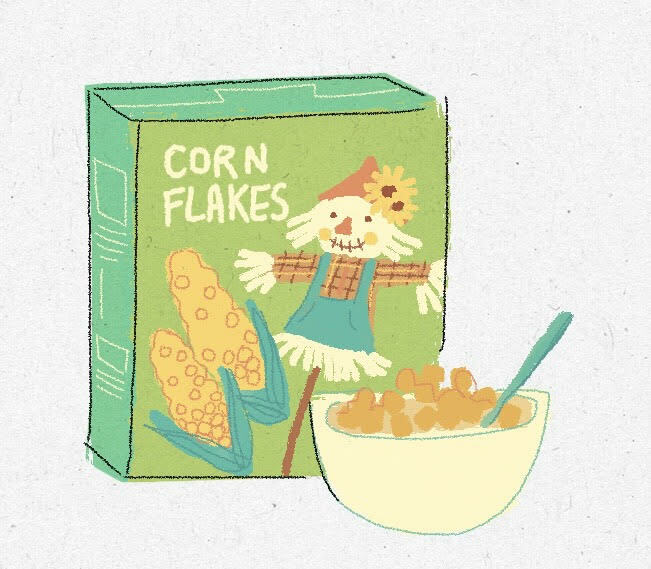 Corn cereal such as Trix, POPS, and Corn Chex are among the few you can mix and match to make something new. You can put these in a baggy along with wheat-free, gluten-free pretzels and make a trail mix! Skittles, Lifesavers, and Starburst do not contain common allergens, unless you happen to be allergic to green apple flavoring. Wonka Pixy Stix are free from dairy, eggs, fish, shellfish, tree nuts, sesame, peanut, soy and wheat. They have tons of sugar, but they are fun to eat. When all else fails, who doesn’t love a good pencil? Pens can be wrapped and decorated like rose tape pens, notebooks can be personalized and decorated, sticky notes are always useful and highlighters could be the highlight of a late night study session. When celebrating Halloween this year, remember to be courteous to all of your guests who may have allergies. Also be mindful that although this list contains foods that have a low allergenicity, some people at your party may fall within those outliers. Happy Halloween!